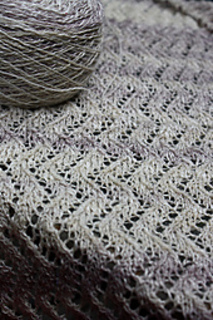 This simple zig zagging stitch motif provides the perfect canvas for a beautiful yarn. 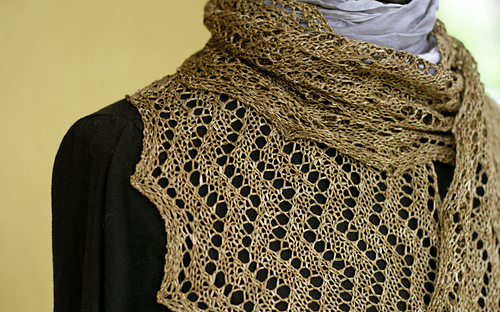 The small repeat and the easy construction make it ideal for handspun yarn as well. 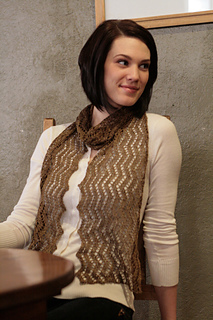 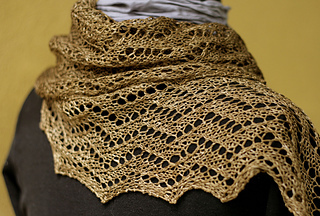 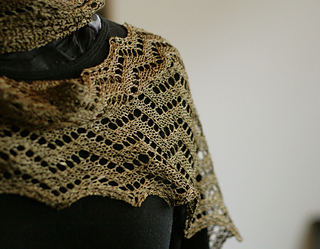 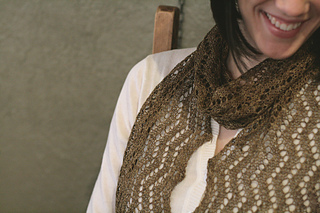 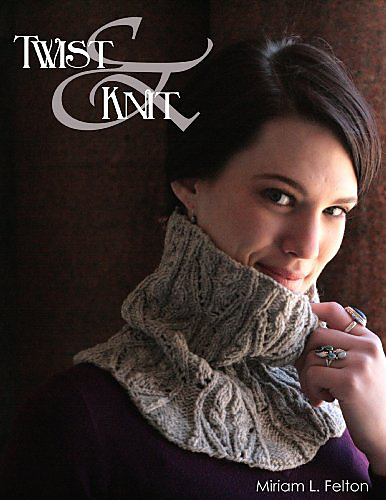 The width can be easily adjusted and the scarf may be bound off when you run out of yarn. 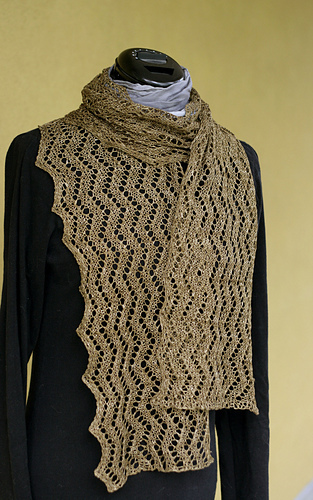 This scarf is worked in one piece from one short end to the other, with increases and decreases built into the pattern to create a zigzag border that flows with the zig zag in the stitch motif. 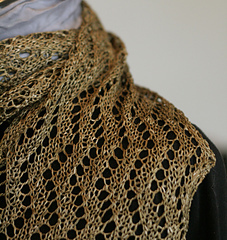 If you choose to make the scarf out of a heavier or lighter weight yarn, you can adjust the cast on and the number of repeats as instructed in the notes. 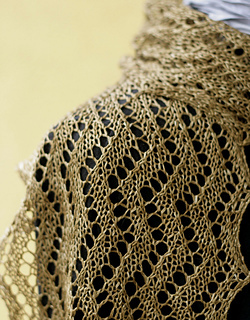 The nature of the repeat means that you can cast off whenever you would like, although it would be best done either at the midpoint or the end of a repeat.